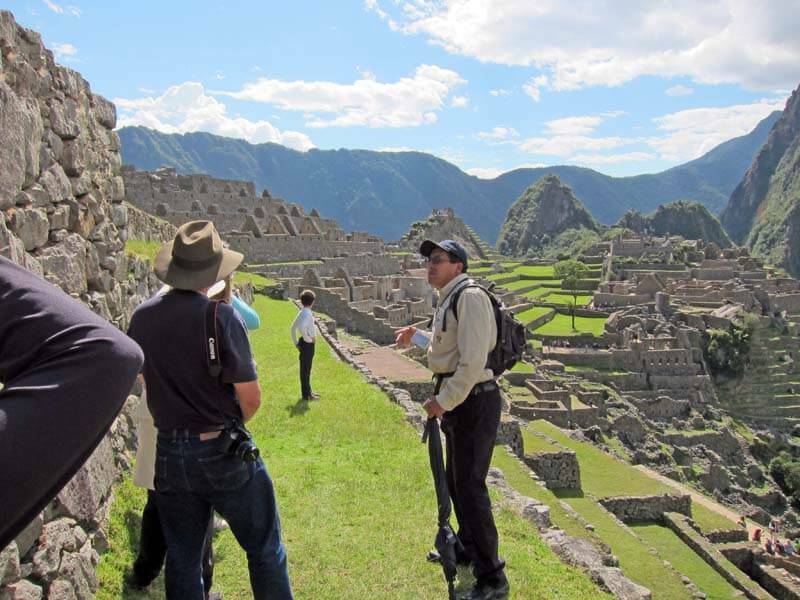 You will have a professional Machu Picchu guide take you to the top attractions inside Machu Picchu and explain the history and significance of the ancient temples, terraced hills and sacrificial sites. The guide will also take you to the best locations to capture photographs and come face-to-face with resident llamas. A private guide means you will receive undivided attention from your tour guide and you will be able to ask numerous questions and customize your itinerary according to your interests. Plus, your guide is more than happy to snap photographs of you and your party throughout the experience. A shared tour guide means you will join a group of about 10 travelers who will be guided by one of our professional guides.